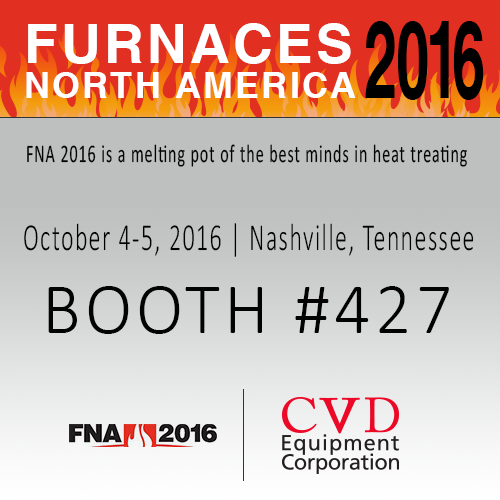 CVD Equipment Corporation, Booth #427, cordially invites you to attend the exhibit held in conjunction with the Furnaces North America 2016 conference. 2016 will mark the 12th Furnaces North America (FNA) produced by the Metal Treating Institute and its media Partner Industrial Heating Magazine. Established in 1995, FNA has become synonymous with bringing top suppliers and heat treaters, both captive and commercial, from around the world to one location for technical education, networking and the latest developments in furnace equipment, accessories and services.